Sioux Falls, SD: LaRae Wiekamp, 39, of Sioux Falls, South Dakota, formerly of Inwood, Iowa, died Monday, March 25, 2019 in Worthington, Minnesota. Funeral services will be held Tuesday, April 2, at 2:00 PM at Porter Funeral Home of Rock Valley, Iowa with Rev. J.J. Witvoet officiating. Burial will follow at Valley View Cemetery of Rock Valley. Visitation, with the family present, will be held Monday, April 1, at Porter Funeral Home in Rock Valley from 5:30-7:30 PM. LaRae Beth Wiekamp, daughter of John Jr. “Butch” and Bernice (Fluit) Wiekamp, was born July 19, 1979 in Sioux Center, Iowa. 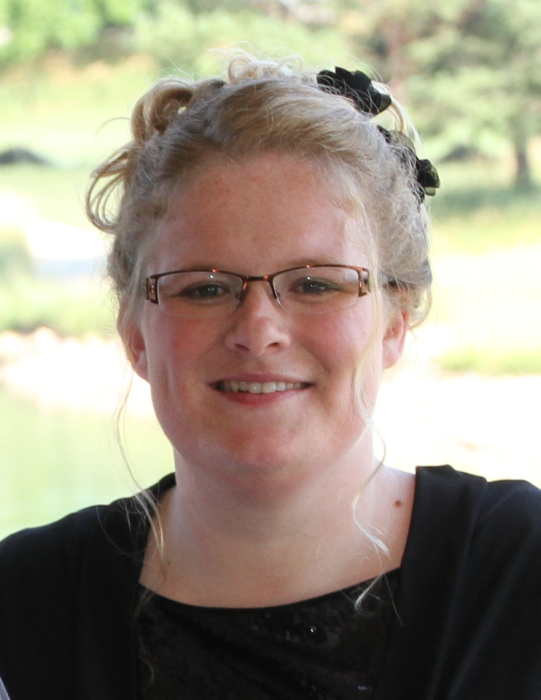 LaRae graduated from the Netherlands Reformed Christian School and took classes at Northwest Iowa Community College in Sheldon, Iowa. She worked at Fellowship Village in Inwood, Iowa for many years and most recently was working at Trail Ridge Senior Living Center in Sioux Falls, South Dakota. LaRae loved taking care of the elderly. She will be remembered as a kind and caring person. She enjoyed baking and cooking and would always be willing to try new recipes. LaRae had a fondness for photography and enjoyed taking pictures of people and their special occasions. LaRae is survived by her mother, Bernice Wiekamp of Inwood, Iowa; brothers, Jonathan (Jana) Wiekamp and William (Danielle) Wiekamp of Inwood, Iowa; and two nephews, Jake and Clyde Wiekamp. She was preceded in death by her father, John “Butch” Wiekamp; grandparents, William and Bertha Fluit, and John and Dina Wiekamp; and special uncle, Gerald Fluit.